In the northern part of the state, near the upper reaches of the Hudson River, there is a town named Sleepy Hollow. As is often the case, small towns hide big mysteries. A chain of bloody events commenced one ordinary night. A secret marriage and a new will have inflicted a dreadful curse upon this town. A terrible legend has become reality. The legend of a terrifying creature returned from hell. 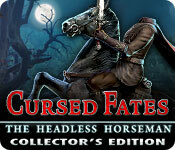 Cursed Fates: The Headless Horseman Collector's Edition is rated 4.1 out of 5 by 115. Rated 5 out of 5 by SueShade from Why is this the only one of a possible series? This game has to be one of my all-time favourites. Look at the other reviews. Why hasn't there been more? I loved everything about it: the storyline, the game play, the music... in fact, I enjoyed it so much, I've played it several times! I've been waiting many years for another, but as yet, nothing. Shame. Rated 5 out of 5 by childoftheking57 from Cursed Fates: the Headless Horseman I really enjoyed playing this game. liked it so well made it into a screen saver. Rated 5 out of 5 by AutismMom00 from Cursed Fates: The Headless Horseman I did something I rarely do anymore with 60 minute trials, I bought it straight away so I could keep playing. It can be a bit gruesome, but not gory. I really enjoyed playing, going at a steady pace, not too bogged down in details, but not skimping just to get through the storyline. Be observant, use logic, and it is a great way to spend an afternoon. I think this would be a good addition if you like dark, Gothic and just a bit on the 'gives you chills' side of games. Rated 5 out of 5 by sunday_monkey from What a great game! I enjoyed everything about this game. 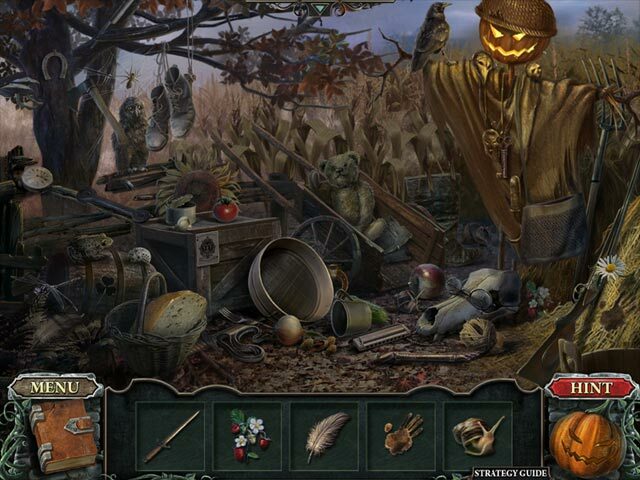 The graphics and music are perfect for the storyline. The puzzles, although not very complicated, are fun. This wasn't the most challenging game I've ever played, but it is well written and clever enough that I think even the most skilled HO gamers will enjoy playing. Rated 5 out of 5 by virgquest from Excellent game, great as SE or CE! Really enjoyed this one! Good graphics, and game play; storyline flows well. Minimal use of diary, no map, but none needed because the game (and map) is divided into chapters, a technique that minimizes needless backtracking and running about (much appreciated!). The SE brings the story to a satisfying conclusion, but I enjoyed the game play so much that I was glad I'd purchased the CE and had another bonus chapter to play. My only (minor) complaints were that the music felt repetitive after the first hour or so, some of the voice actors were pretty bad, and a few of the puzzles were so easy that they seemed like busy work instead of an actual challenge. None of these issues seriously detract from the game, however, and I'd highly recommend this title in either CE or SE version. I'm looking forward to the next game from this publisher! Rated 5 out of 5 by hapcibeno from Great HO game Bought it because I liked the movie. Storyline is good, not exactly the same as the movie, maybe that's why it was interesting all along the game. HOS and mini games were great, as I didn't have to hit the hint button all the time. I liked the graphics, too. Rated 5 out of 5 by ChristinaX9 from Excellent Tale of the Headless Horseman This is an excellent adaptation of Sleepy Hollow, that I really enjoyed completing. You are constable Crane charged with arriving at Sleepy Hollow and bringing about the demise of the culprit who has been beheading his many victims. The voiceovers, graphics, and cut scenes are excellent, the music is also good. 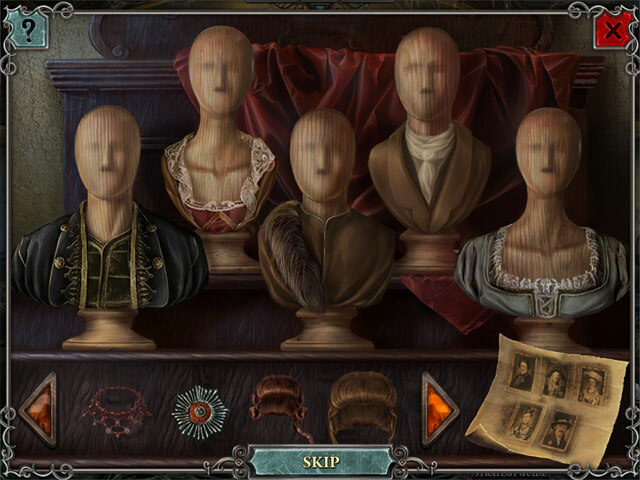 The CE has many extras, most notably a bonus sixth chapter, plus trophies and achievements. There are plenty of well made HO scenes but not excessive, I liked these ones, as sometimes the odd item or two were well hidden making it a little bit more difficult, even though there is a hint button for those preferring an easier challenge. Also you do not always use the items you find straight away, which makes the game more interesting. I played it on the difficult mode, and my only criticism would be that most of the puzzles were kind of easy and not plentiful. However there were new features such as combining two items to make one for further use, and I enjoyed the fact that the odd object may be well hidden once in a while. That added more value to the game. I would definitely reccommend this, I loved the film and I really like this game too. Rated 5 out of 5 by winter1217 from good story, good game I always loved this story as a child, and I like the game. 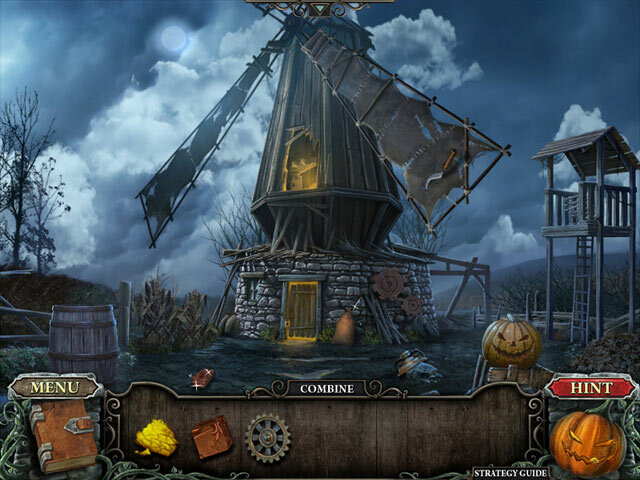 loved the graphics good story, good hidden objects, puzzles not too hard but still a challenge.I am sure I will play this again. every Halloween.